Are you from Sonoma County California? 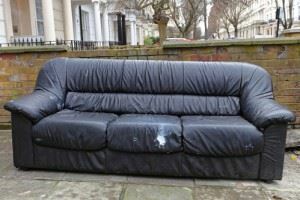 Do you by any chance have old furniture or other waste items you want removed from your property? Well you are in luck as the number one rated junk and furniture removal company in the country is right in your backyard. You may have large and heavy items that you cannot manage on your own, hazardous waste that may be dangerous and requires professional help to be removed or maybe you want to do a general clean up of your home and surroundings for the upcoming Fourth of July holiday. Not to worry as Junk King Junk Removal Services can come in to assist you by providing all the necessary equipment and trained personnel to manage junk/waste removal from your home. Not only does our dedicated team come in and handle junk/waste removal efficiently but we also specialize in the transport and processing of items removed. Instead of paying additional money for transport and landfill fees Junk King will manage all waste items from the time of removal until they are disposed. As it relates to removing old furniture our highly, skilled, professional team are specially trained to easily and safely remove furniture especially out of tight, constricted, areas without damaging walls or other structures within the home. In addition Junk King Junk Removal Services also operates within commercial settings where we facilitate the removal of unwanted office furniture, unwanted equipment, E-waste, and much more. So if you operate a small business or a large firm within Sonoma county don’t hesitate to give us a call our services are prompt and efficient and we offer next day pick up. With the most affordable rates in town there’s no job too big or too small for Junk King. We remove and dispose of unwanted tables, desks, cabinets, dressers, bedroom furniture, recliners chairs, outdoor patio furniture, old appliances and electronics, yard waste and much more. As for businesses we can remove trash from restaurants, E- waste, old office furniture, office clutter, old files and documents and lots more. Along with the highest quality service Junk King has also taken the initiative to incorporate eco friendly practices like recycling as part of their mission to conduct safe and efficient waste management services and to show our dedication to Sonoma county and other areas that require our services our green junk hauling company provides top notch removal service 7 days a week giving you back that free space you’ve always wanted in your home or office without delay. Dedicated to keeping Sonoma County and America clean Junk King is proud to provide the highest quality junk removal services all in effort to promote safe and positive waste management practices as well as having a positive impact in the community, the state and the country as a whole. Contact us for more information. This entry was posted in Sonoma Bulk Trash Pickup, Sonoma Furniture Removal, Sonoma Junk Removal and tagged Junk King Sonoma, Sonoma Furniture Disposal, Sonoma Junk Removal on June 7, 2017 by mattverga. Last updated June 23, 2017 .